Took a little step back the timeline from prior projects with this last one. Designed in 1978, Stern Stars is part of the earliest wave of solid state machines, and bears many resemblances to its electromechanical predecessors. 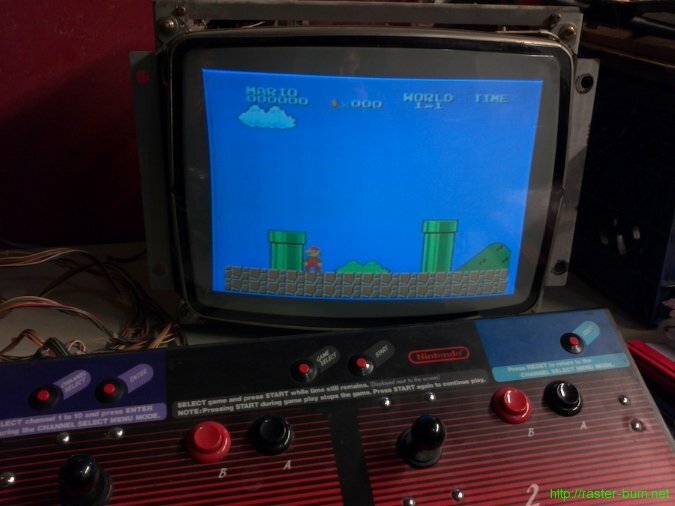 Most noticeably, it uses a chime box for its sound effects rather than a speaker. 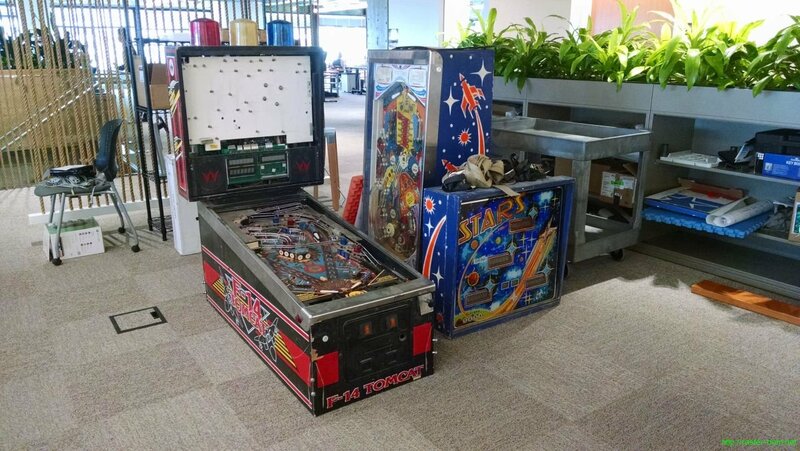 The example I have landed alongside F-14 Tomcat, both fresh out of very long hibernation. 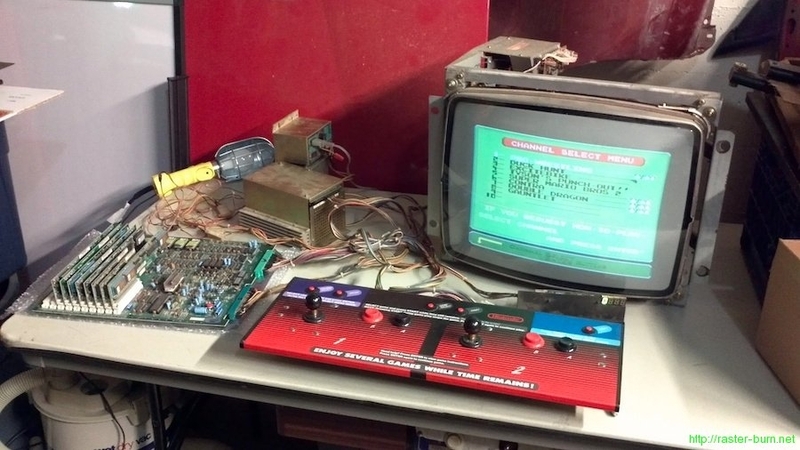 If the musty odor of long dead cigarettes didn’t give it away, the op tag confirms this machine spent some time on the bar circuit in Anchorage. 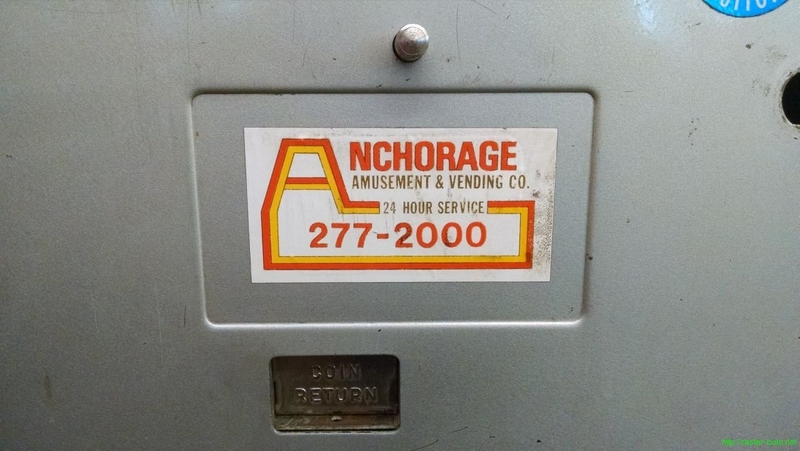 While this machine survived its stint, the phone number for the Anchorage Amusement and Vending company now points to a physical therapist. Their last address of record is a still standing but one step above derelict warehouse with boxes and equipment piled high in front of the windows, and a high fence festooned with ‘No Trespassing’ signs. While filthy, strung with rotten rubber, and malfunctioning, the bones of this Stars are quite good. 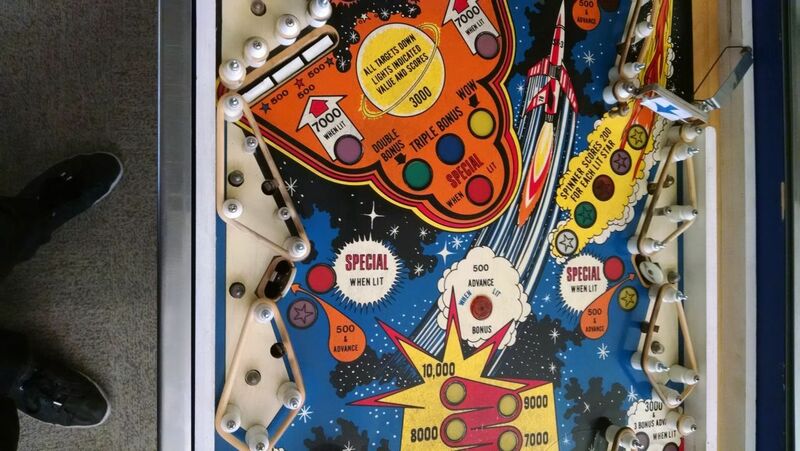 All that grodiness is probably the only thing that save the playfield from having a groove worn into it by the dragging right flipper, so I can’t complain too much about the mess. 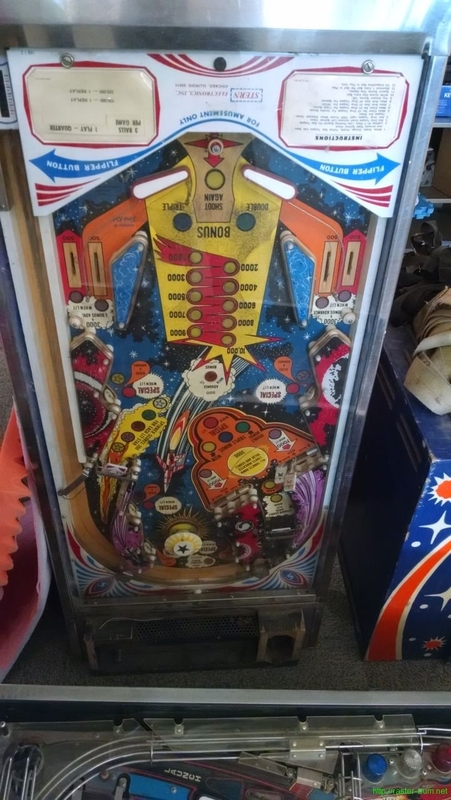 The flipper assemblies needed an almost complete rebuild, the only original parts left now are the frames underneath the playfield. 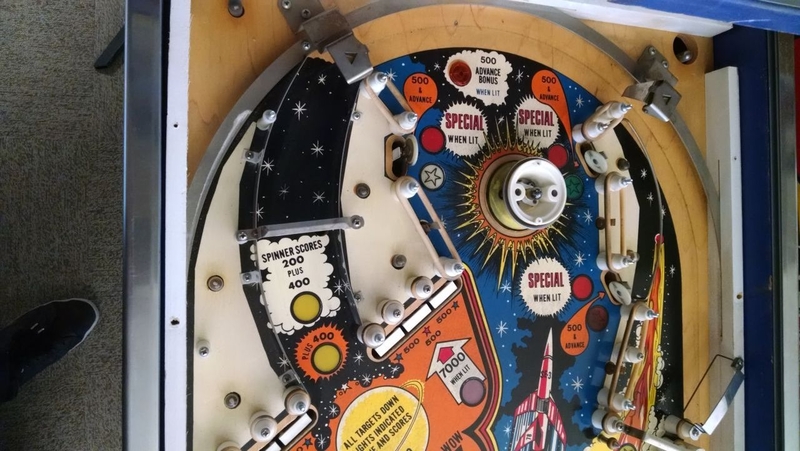 For some reason Stern used aluminum for most of the metal parts on this machine, including the flipper shafts, and one was bent enough to cause the entire mechanism to bind. 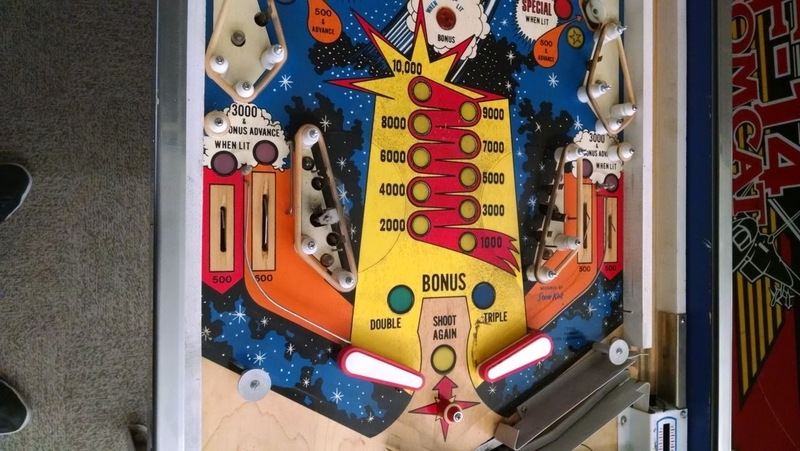 I had to modify the bushings I received from Marco, despite them being labeled as appropriate for this machine, because they were too tall for the playfield. A few minutes with a saw fixed that right up though. The drop targets were another area where the aluminum hardware caused problems. The arms the targets ride on had deformed around the pins that hold the mechanism together, causing them to mushroom out around the pin shafts and in the most extreme cases this would cause them to bind against other parts of the drop target assembly. I straightened everything as best I could and filed down the burrs caused by this wear. Now the mechanisms work, albeit a bit sloppier than from the factory since the holes are wallowed out and some material was lost in the process. The reproduction drop targets from Marco are slightly different in design from the broken originals, but the changes didn’t cause any fitment issues. The relatively simple layout only took a few hours to relamp and refresh the rubber on, and some light cleaning made short work of the built up grime on the artwork. 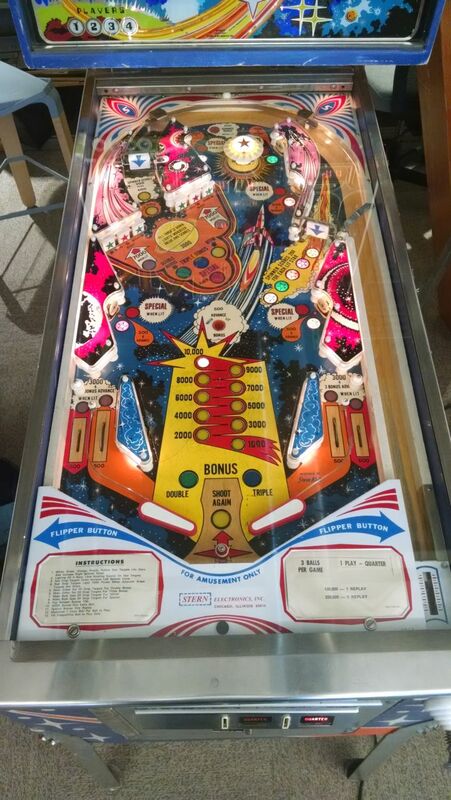 All of the playfield plastics cleaned up nicely, looks sharp reassembled and lit up. 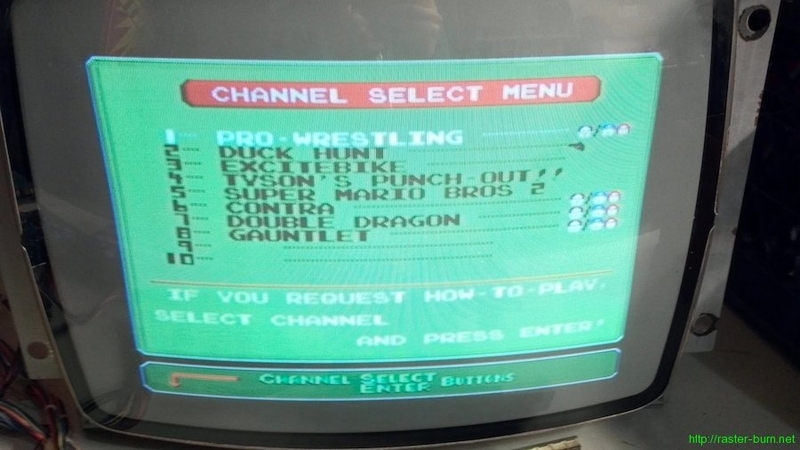 I’d originally intended to make a quick flip of this machine, but it’s grown on me since I took possession. The simple, colorful layout and straightforward rule set give it a character much like its EM ancestors, and the art is a great example of how a generic theme can pop when illustrated by a talented artist. There’s a million of these old Subarus still kicking around, and they all seem to be that particular shade of blue. 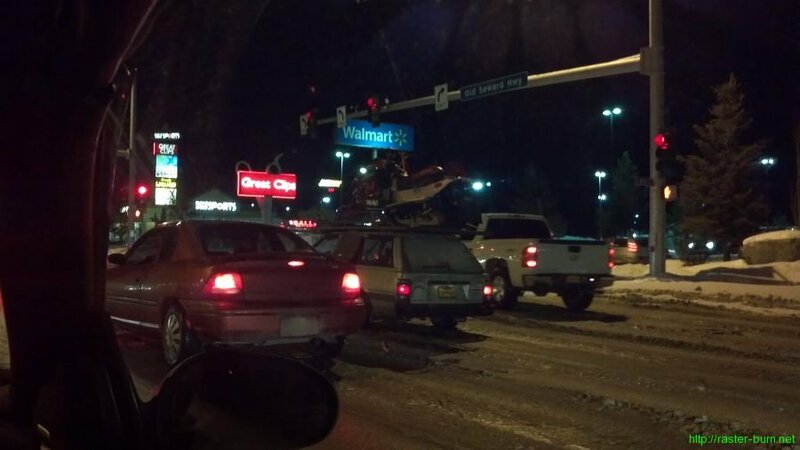 Ski racks are a pretty common addition… The snowmachine rack is less commonplace. Don’t think I’d want to be driving behind this fine piece of frontier engineering under any circumstances.